Tim GartzTim started to produce music in 2010 at the age of 14; He made a lot of remixes that became popular on many music blogs. Tim started as a bedroom DJ/Producer like many other young talents, but there was something that was really special about his music. He had the feelings about the perfect outstanding melodies. He produced a lot of progressive house with many different plucks that makes his melodies quite unique. 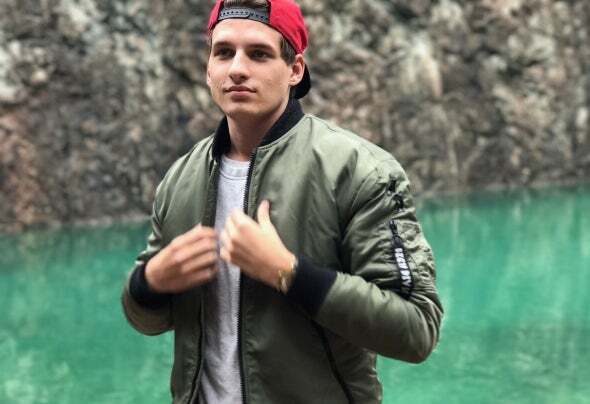 2013 his first single “Shine” hit over 100.000 plays on Spotify in just a couple of months.2016 was a really good year signed Uptown Girl to Armada with over 1,3 million spotify streams. Tim and Glenn Forrestgate started the record label 1NAM together in August 2016 with fantastic results.2017 Tim had a hit on Spotify with ”What You Want” Big playlists like Spotify Weekly Buzz, Tomorrowland Official, Topsify, Spinnin, Axwell, Filtr and Chill Nation is supporting it. 4 300 000 Streams so far.Tim ́s latest track is a collab with UK singer Kirkby and Greece producer Mark F Angelo has reached 1700 000 streams andadded on the biggest playlists like the single before.Tim will release "Dive With Me" 2/3 2018 on Tonspiel.Tim is currently inthe studio and working on 3 new singles.